We are delighted to be able to offer students in Year 8 (the opportunity of a Residential Retreat at the Youth Village near Consett in County Durham. This retreat will be from Wednesday 8 May to Friday 10 May 2019. 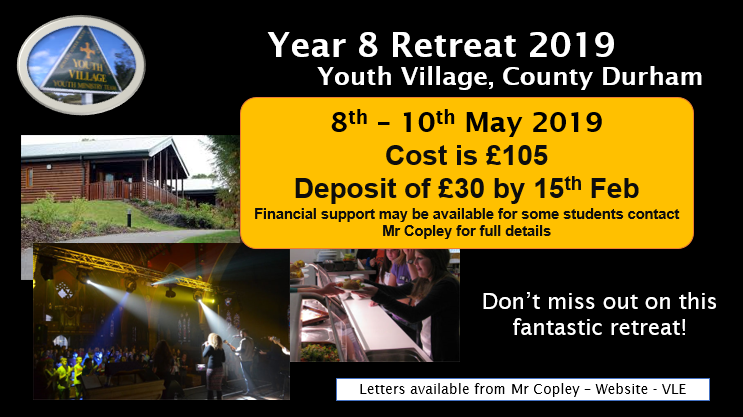 The Y8 Youth Village Retreat will be led by members of the Youth Ministry team based there, who are well used to working with young people and who will provide a good experience at this important time in their lives. Click here for full information and permission slip.